Thanks to the long term successful cooperation with the European Fund for Southeast Europe (EFSE), Halkbank AD Skopje signed for a new long-term credit line in the amount of 10 million euros, which will be used for financing and supporting the micro and small enterprises, as well as providing funds for housing improvement. 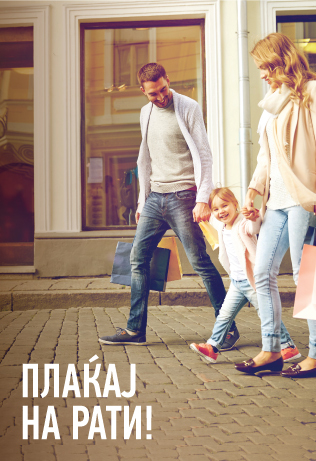 This credit line enhances the ability of Halkbank AD Skopje to offer properly structured housing loans, intended for individuals, and to provide long-term investment loans for the micro and small enterprises in order to give them the ability to fulfill all their current financial needs. This loan product is created with the aim of providing a private lending for micro and small enterprises (MSEs) and entrepreneurs who are registered on the territory of Republic of Macedonia. Fixed assets (equipment, machinery, installations, constructions, renovation and modernization of operating facilities and production facilities and other investments). Loan amount: Up to 50.000,00 EUR. 5,5 % + 6m EURIBOR, for long term loan, from 25.001 EUR up to 50.000 EUR. for fixed assets, not longer than 30.11.2024.
up to 12 months for fixed assets. 1% of the amount of the loan once in advance for loans with tenor more than 12 months. Collateral: Combination of the following instruments: Mortgage on real estate, Pledge on movables and rights, Guarantors, Entities as a guarantors, other collateral acceptable to the Bank. For additional information please contact us or visit your nearest branch / subsidiary.